IOM April 2009: La Superba! 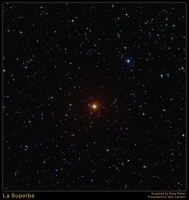 This month’s imaging object is a star – but a rather special star of course – it is La Superba, one of the redest stars in the sky and it resides in the constellation Canes Venatici (the Hunting Dogs). 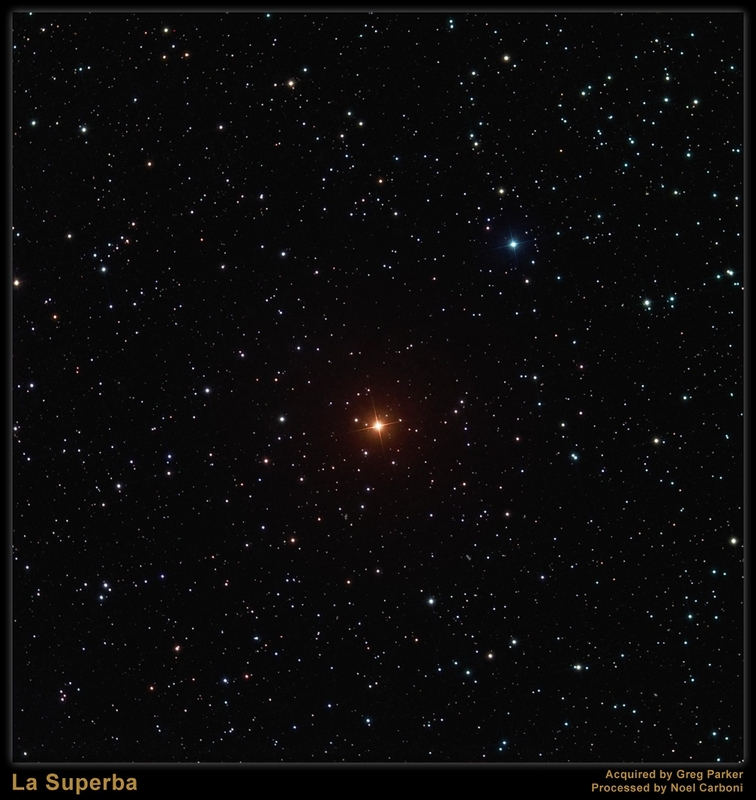 La Superba (Gamma Canum Venaticorum) is a semi-regular variable star, it is also a Carbon star and at a temperature of around 2800K it is one of the coldest true stars known. La Superba is therefore a pretty unique object and highly worthy of our attention. La Superba may, or may not be in your telescope’s “go to” database – if it isn’t you will need the co-ordinates which are R.A. 12h 45m 07.83s Dec. +45 26′ 24.92”. You won’t need particularly long subs as La Superba will be between magnitude +4.8 and +6.3 – but it is certainly worth getting as many subs as you can to obtain a nice smooth image. Wishing you clear April skies and the opportunity to get some great data on this unique object!